Asparagus, not the best known of vegetables, but one of the few vegetables that is so packed with flavour you can even eat it on its own, pair it up accompanying dishes or use it to enhance recipes for everything from quiches to kebabs. Full of nutrition and tasting fantastic here you will find everything you could want to know about this healthy vegetable from how to cook it, how to grow it in your garden to where to find festivals in its honour, its history and all sorts of information from the scientific to the obscure! Harvest ? The BEST BIT!!! 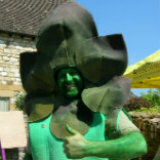 We pose your tricky questions to our expert to provide the answers to your asparagus growing problems. Take a look at some of the day to day items and specially designed alternatives to make your life easier and your veg taste even better. We have been gathering all sorts of useful (and sometime useless!) facts about our favourite vegetable, we’ll keep adding to the list…..
Is this vegetable good for you? Well its definitely full of nutrition, counts as one of your 5 a day and has a low glycaemic index. If you have never tried cooking this spring vegetable you really should. It is very easy to cook and is not that expensive. You will find it in most supermarkets virtually all year round. For best taste and least food miles buy it during the fairly short season in spring. (April - June in the UK). You will have to make your own mind up about imported vegetables and watch the quality for freshness. White spears are very much the way to buy and eat this spring vegetable on the continent. Large quantities of canned product are sold in France, Germany and Spain. Once you've found one way to enjoy it don't stop there, keep trying new recipes and you will love it too. If you have some space and green fingers then an asparagus patch could be you next gardening project. You won't believe the taste of garden grown asparagus. We hope you enjoy exploring our site. We love and eat all sorts of fresh fruit and vegetables and know that they are helping us stay healthy. We encourage you to do the same. We are lucky enough to have tried a good few varieties of this tender green treat and we hope you will enjoy reading about what we have discovered.